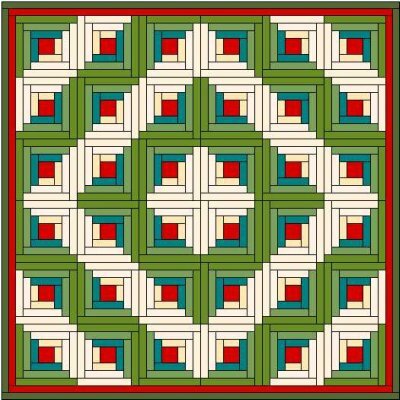 The log cabin quilt block is a traditional block and has been popular with quilters for a long time. Records show that the first signed and dated log cabin quilt dates back to 1869. The log cabin quilt block name describes the formation of each block. 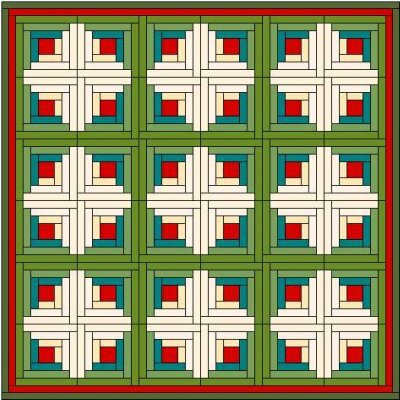 The central square represents the hearth fire, and is traditionally made of red fabric. Half of the “logs” in the block are made of dark fabrics that represent shadows and the unknown. The other half is light fabrics, representing the light coming from the fire and the light of civilization. The blocks are always sewn together edge to edge, not separated by plain squares or borders. Making a log cabin block is a lot of fun especially when you learn how to chain piece. As with other blocks the log cabin comes with a wide variety of possibilities due to the placement of light and dark fabrics. Straight Set This is a simple layout, with all the blocks oriented in the same direction. Fields and Furrows The diagonal lines of darks and lights in this setting look like the rows in a freshly ploughed field. Barn Raising This is a square-in-a-square layout suggesting a building. Pineapple a more complicated variation of the log cabin also known as windmill blades. Rag Log Cabin a combination of two techniques, the raq quilt method and the log cabin design. Courthouse Steps This is a simple variation of the log cabin theme. The strips are assembled in opposite pairs, rather than working round the block. 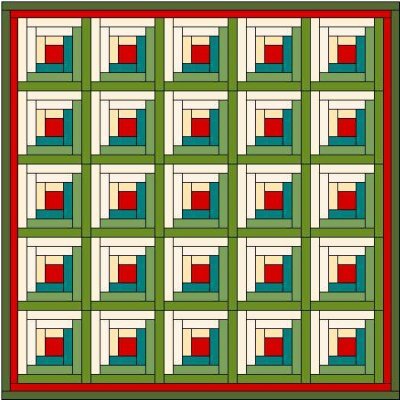 Below I have demonstrated a few of the different log cabin quilt designs. I have not included any instructions as they are for your inspiration only. 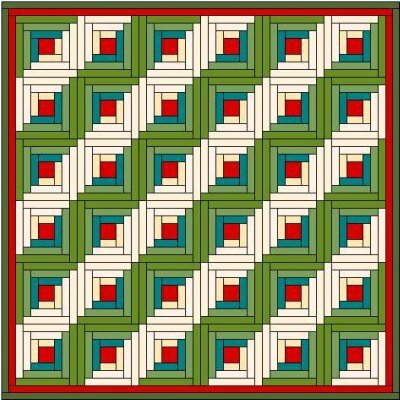 Have fun making your log cabin Quilt!